I bought this one with a discount on Sephora's website. I received it pretty quickly at my flat. When I first used it I was amazed at how much it covered my dark circles compared to ones I previously used. Before this one I had to put 3 different products under my eyes to obtain such a result. It even highlights the area. I am very pleased with the result I got with the VANILLA shade. I heard a lot about this product but was quite sceptical about it before trying it, probably like you did too. If you have not tried yet one of my July’s favourite, I think you should go into a store and try it on you. 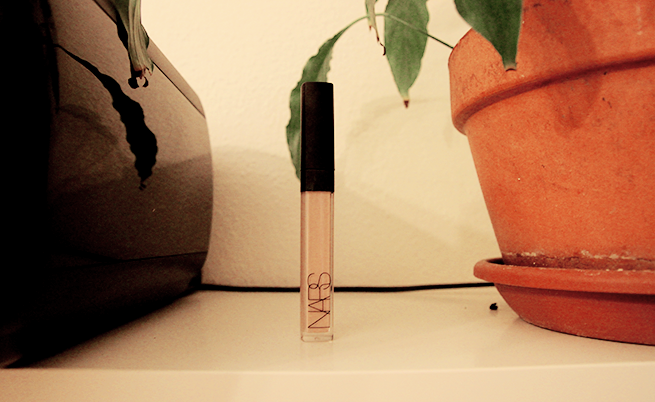 My only reproach would be it price but Nars products always are pricey. The packaging is very pretty but as it often does the black part gets dirty very fast. I apply it either with a beauty blend sponge or a makeup brush (since I no longer own a fake beauty blend boooh :(). However, I tend now to use another concealer on it (in order to get full coverage) or/and some powder to fix it - but when I'm lazy, I do use it alone and it has been working quite well on its own. I am obsessed with how I always have dark rings under your eyes. And thanks to this product I feel a lot more confident about my dark circles. BUT I am not saying it will magically make your dark circles disappear but it will HELP you hide them.